You are here: Home / Recipes / Cake Recipes / 10 Easy Cake Recipes! 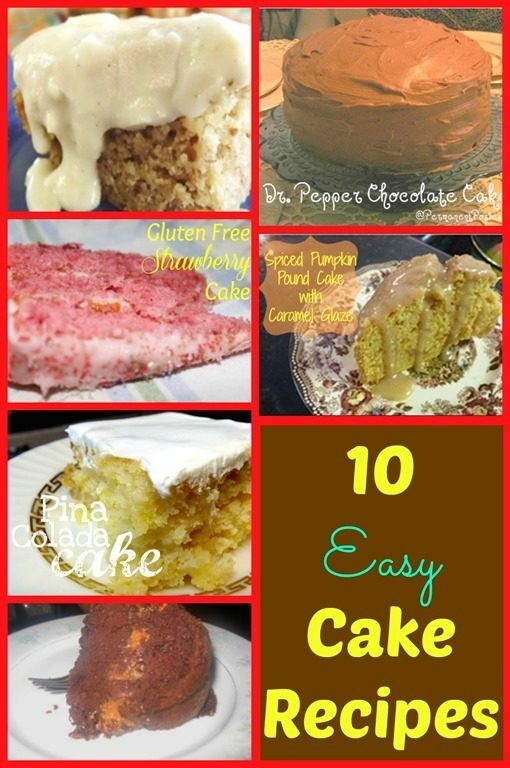 Here is a roundup of 10 easy and scrumptious cake recipes! Cakes are great when you need something to take to a family or friendly gathering. I used to make my cakes and freeze them prior to icing them. It made them much easier to ice AND when they thawed out under the icing they were some of the most moist cakes I have ever tasted! I also liked having cakes in the freezer for unexpected events where I needed to bring something. I could just pull one out, ice it, and by the time we got to dessert it was thawed and tasted great! Check out all of our recipes!